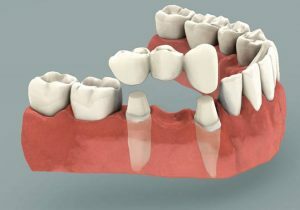 If you have lost a tooth, there are several replacement options available. This page will give you some background information about dental bridges, but it cannot help you decide among the different options to help you decide on the best treatment option for you. To talk to Cherry Creek cosmetic dentist Dr. Jeff Johnston about your tooth replacement options, please contact Ascent Dental today. To talk to Denver general dentist Dr. Jeff Johnston about dental bridges, please schedule a consultation at Ascent Dental today.